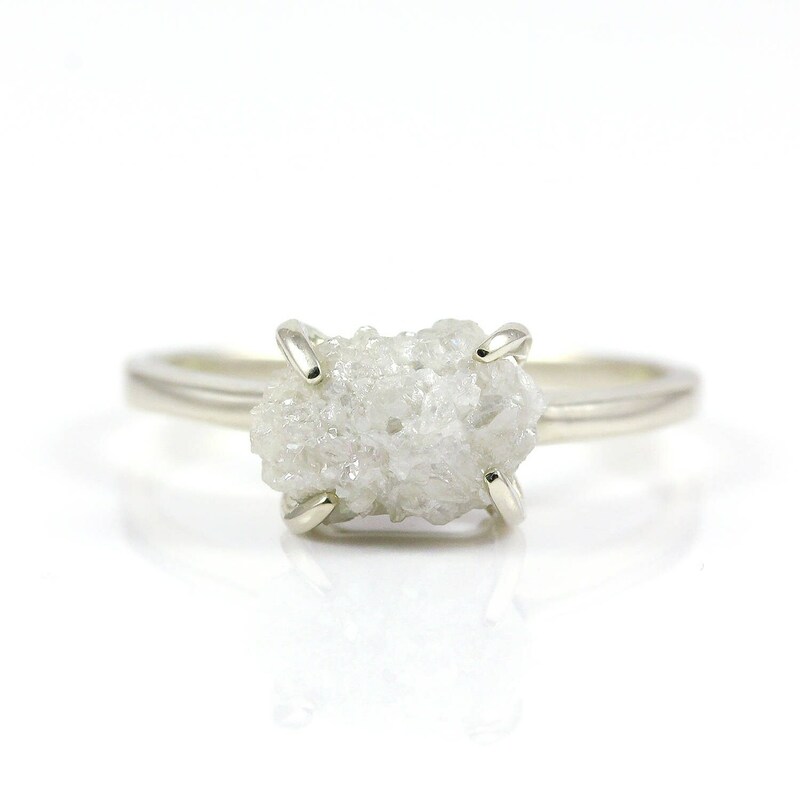 This gorgeous ring features large size 2.0carat oval shape rough diamond nicely set horizontally on 4-prongs setting. 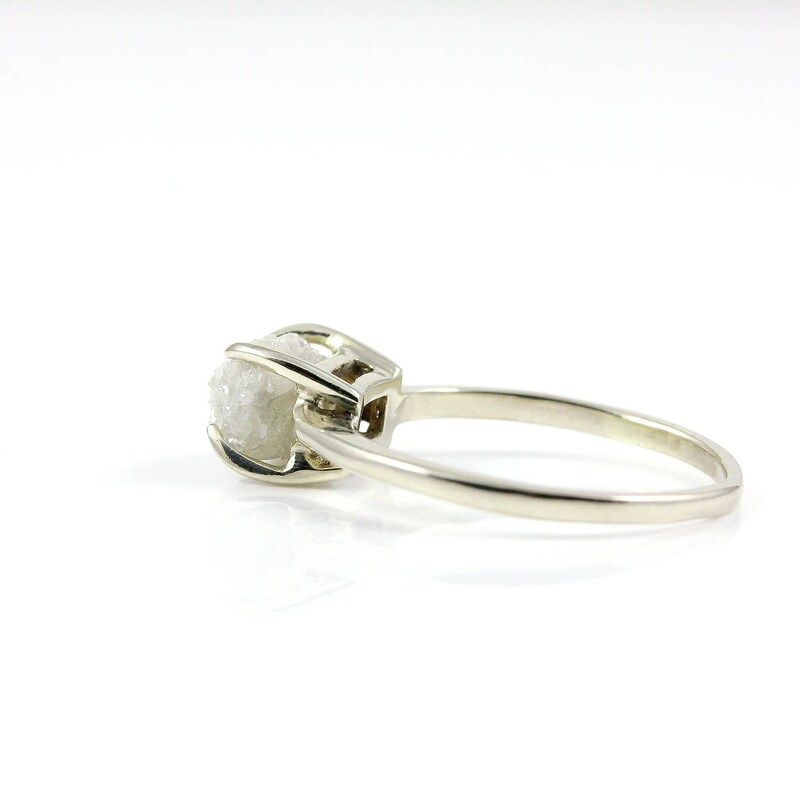 This classic and precious Rough Diamond ring would be a perfect engagement ring or any of your wedding occasions. 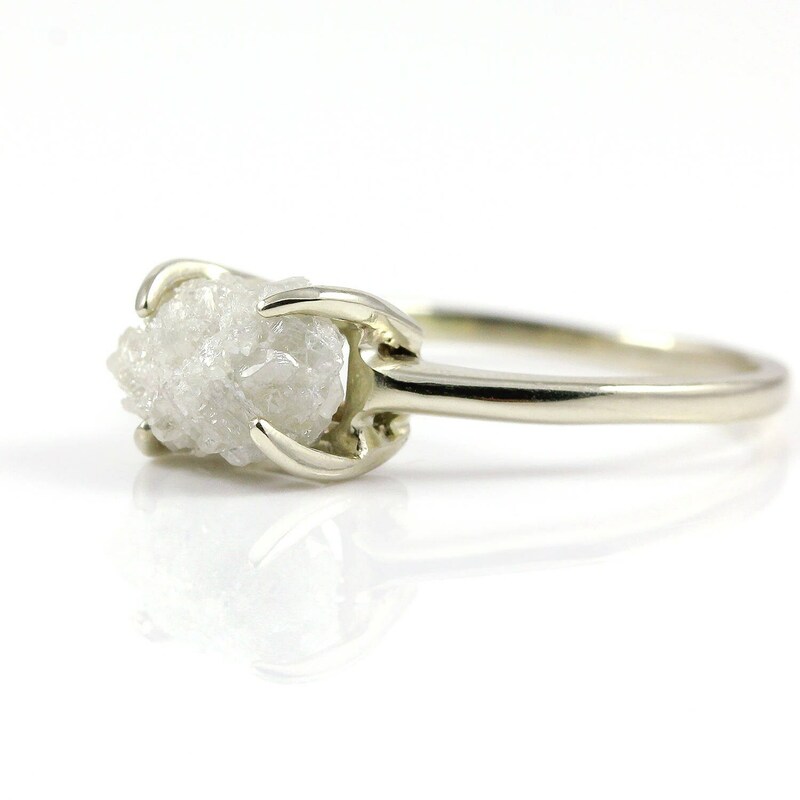 Since the diamond is natural and rough, it may slightly vary in size, color and shape set on your ordered ring. As rough diamonds in this shape are not easy to find. We recommend contacting us first, so we can provide a picture of available samples. 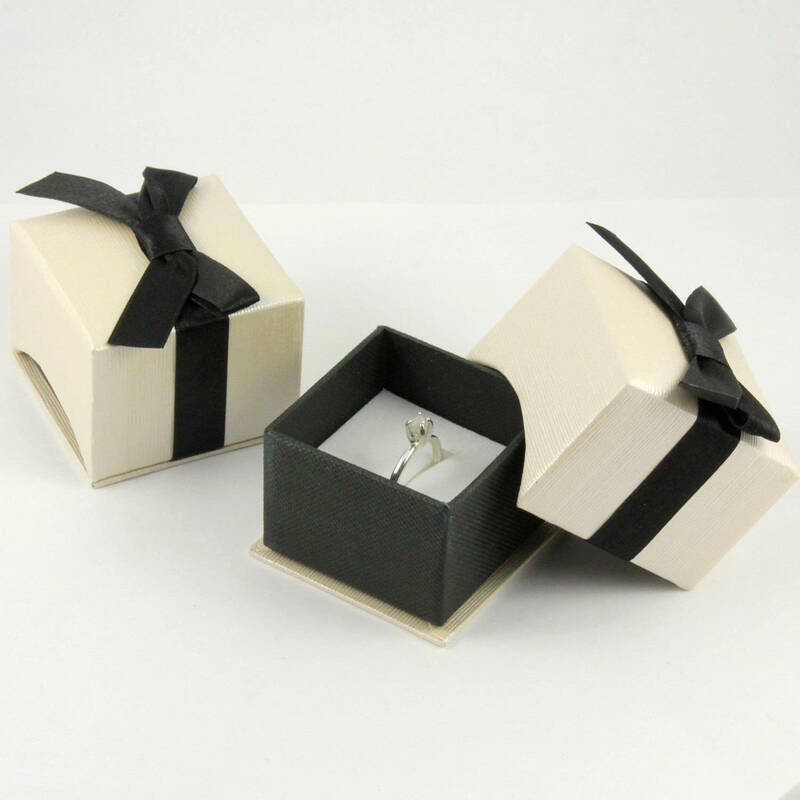 Production time for this particular ring may vary from a week to three weeks. 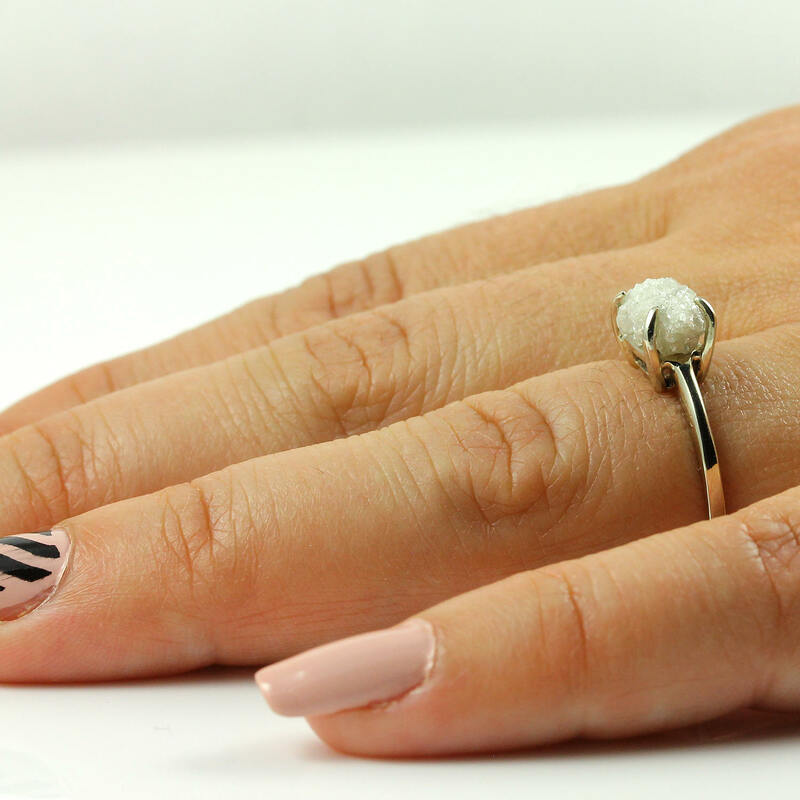 Ring can also be made in Rose and Yellow gold.